Our customers can purchase from us Flexible Drive Coupling, which is manufactured using high quality materials and latest technology. This is designed as per the define industry standards and is available with us in various sizes and shapes. 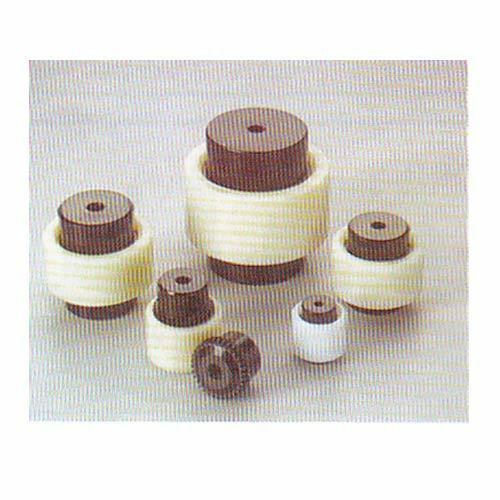 This flexible drive coupling is highly demanded in Textile and other Hydraulic industries for the unique features like rust and abrasion free, finest torque transmission and low cost maintenance. In addition to this, our flexible drive coupling can be custom made as per the requirements of the customers. Ahuja Industries was established in the year 1970 as a small scale industry with a small capital & few machines but with a big aim. Since then TUFIT has served?the market and Industry all over India, with variety of dependable fluid connectors in a big way. This growth & success are the result of Productivity, Flexibility & the Quality. TUFIT ensures that its extensive knowledge & experience of both product design & manufacture meets end users requirements.